Despite Apple's initial reluctance to allow any type of sports betting, casino or poker app into the iTunes App Store, the world of real money gambling flourished. Here are some of the best Omaha and Texas Hold'em games. Most online poker rooms are investing heavily in mobile technology because they know this is the future of gaming. Poker players are increasingly turning away from playing on desktop PC and Macs because they lack the portability of tablet computers and smartphones. The high-definition retina displays of most iOS and Android devices offer much better graphics and it's a far more enjoyable and intuitive gaming experience to play poker using a touchscreen rather than with a mouse and keyboard. The mobile poker revolution has started so try any of these Android, Windows Phone, Nokia, BlackBerry or iPhone poker apps. PartyPoker is available on Android and iPhone/iPad in selected countries. Play Texas Hold'em or Speed Poker on one of the latest mobile networks. $50 deposit match bonus plus UK players get a £10 no deposit bonus. 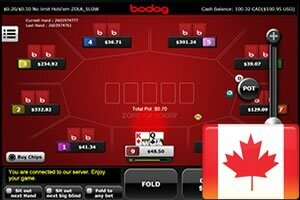 Ignition Poker Mobile welcome real-money players based in Canada. The Ignition poker app offers Zone poker, which is a fast-fold poker format. Ignition Mobile Poker is web-based so there is no download requirement. Play Texas Hold'em ring games on iPhone, iPad and Android devices. Bwin offers a stylish poker app with smooth game play and a nice layout. Play speed FastForward poker on your phone. No tournaments at present. Wearable technology like Google Glass or the Apple iWatch are predicted to be the next major growth area for mobile devices. Primitive games are already available for some of these devices so we question whether it will eventually be possible to play mobile poker on your wearable device. Which mobile poker sites have the most poker donkeys and fish? So you've just got a brand new iPhone 5S, Nokia Lumia, BlackBerry Z10, iPad Mini or Samsung Galaxy and you feel like playing a few games of Texas Hold'em on your new device. Before you go registering with any mobile poker sites and handing over your Visa or Mastercard details, there are a few things you should consider. Is this poker app available in my country? Not all poker apps are available throughout the world. If you are based in the United States then we would recommend you check out our guide to U.S. Poker Apps. Web based poker apps like mFortune and Terminal can generally be played from any country except the United States. Native apps like Party Poker, Bwin and 888 are only available in the iTunes App Store in certain jurisdictions. Do you want to be able to play against your friends? Believe it or not, not every poker app allows you to search for particular poker players or even choose your own seat at a table. Thankfully it's a feature that is slowly being introduced but it's best to check before you go to the hassle of signing up. The 888 iOS/Android poker app allows you to create and manage a "Friends List". mFortune have gone one step further by allowing you to create private tables so you can host your very own poker nights for just you and your mates. Are there compatibility issues? Will I be able to play on any smartphone or tablet? While most people would choose an Apple iOS or Google Android device given a choice, sometimes we are forced to use phones or tablets like the Nokia Lumia 2520 or the BlackBerry Z10. Web apps can be played from virtually any mobile browser, including Safari, Chrome, Internet Explorer or Opera, so these types of poker sites should work on any device. Native apps on the other hand tend to be only compatible with the Google Android or Apple iOS operating systems and can only be downloaded from Google Play or the App Store. Which apps have the softest competition and most poker fish? Most of us play poker just for fun and we don't mind losing a few dollars every now and then at the low stakes tables. For others, making money is the name of the game and they're always searching for online poker rooms where they can earn a quick buck. The skill level from poker room to poker room can vary dramatically so if you're hoping to increase your bankroll then here are a few things you should consider. 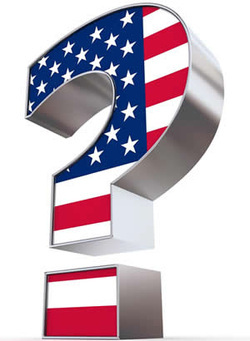 For whatever reason, poker rooms that accept players from the U.S. tend to have a higher percentage of inexperienced players. Similarly, large online gambling companies who also offer online casino games are great places to win easy money. Many of their poker players have come from luck based games such as slots or blackjack and have no idea how to play a skill based games like Texas Hold'em. Which mobile poker sites attract a younger audience? In general, younger players tend to be less experienced and as a result win fewer games than players who've been playing online for the past decade or more. The Zynga and PlayStation generation tend to be attracted by flashy poker games with 3 dimensional graphics like those offered by PKR. FREE MONEY!!! Everybody loves instant welcome bonuses and don't really care if they lose this free cash quickly, so expect some very loose play at any poker room that offers a no deposit bonus. HERE is our guide to the best of them. Does the app offer player tagging? Some poker apps now allow you to makes notes about certain players so if you encounter them at a later date you will be able to take advantage of their weaknesses again. You an get more detail on the subject by reading this blog post. Will I want to play high-speed poker games or compete in tournaments? People require poker apps for different purposes. The majority of mobile gamers just want to play the occasional hand of Texas Hold'em or Omaha while to commute to work or during their lunch break. Others like to play fast fold poker or take part in Sit & Go or Multi Table Tournaments. Some of the older apps still only offer standard ring games so it's important to read through the features list carefully to make sure the app will meet your specific requirements.